Most online marketing professionals would agree that they would like to get a higher level of direct opportunity engagement from search engine positioning. SEO, Search Engine Optimization, is one of the top sought after online marketing services. SEO driven sales leads from primary search engines such as Google or Bing result in an estimated 12% close rate. As impressive as that might sound it is significantly diminished when you consider less than 20% of searches occur directly within search engines. Most web content searches occur within device specific directories and apps. At the end of the day we simply want to increase growth and lower cost of sales. If you’ve shopped SEO solutions you will quickly realize they are cost prohibitive for engaging in new sales opportunities due to the high cost of setup, maintenance, and content creation. It could be months before you start to see any results from an SEO campaign, and stopping the expensive activities that drive SEO positioning result in immediate loss of any experienced benefits, if any. The average SEO-to -benefit campaign is about $12,000 or 6 months of content activity. When you combine the high cost of SEO services with the lack of lead qualification other than a generalized interest in a specific topic or keyword, SEO is a poor first choice when trying to build online engagement opportunities. SEO is something you can easily do yourself and more importantly a service that the search engines provide absolutely free, and will automate it for you after you get setup. But it’s complex, right? NO, Google holds a staggering 70 percent of the U.S. search engine market and makes it incredibly easy for anyone to quickly submit their full site, and blogs for indexing. Once you get done with google, less than 30 minutes, you can use the exact same links to complete your submission to Bing and cover about 95% of all search engine traffic. Paid SEO is primarily smoke and mirrors. SEO is not magic, it’s not a secret sauce, and it’s defiantly not proprietary to companies that bill for it. What is proprietary to those companies is what goes on back stage. Paid positioning, paid distributed link backs, paid submissions, paid content creation. But for most SEO companies the real cost they put out is for paid fake hits and made up analytics. Don’t believe that your expensive SEO service provider is buying fake leads – check out Cheateo.com. Search engines change how they rank pages often and your SEO expert said you need to pay them a lot of money to keep your site up to speed. They are vaguely right, Google changes its search algorithm about 500 to 600 times a year, that’s a bit more than once a day. But those changes are put in place to stop SEO scammers, they have nothing to do with legitimate companies that have submitted content they own and have published with them. These changes are to protect you and make sure your free listing service with them is not compromised by someone who is breaking the rules. If you list your site today with Google and maintain that content with updates (once a month), share that content with 3rd party sites(2 a month), you will get to a top rank position within about 90 days. 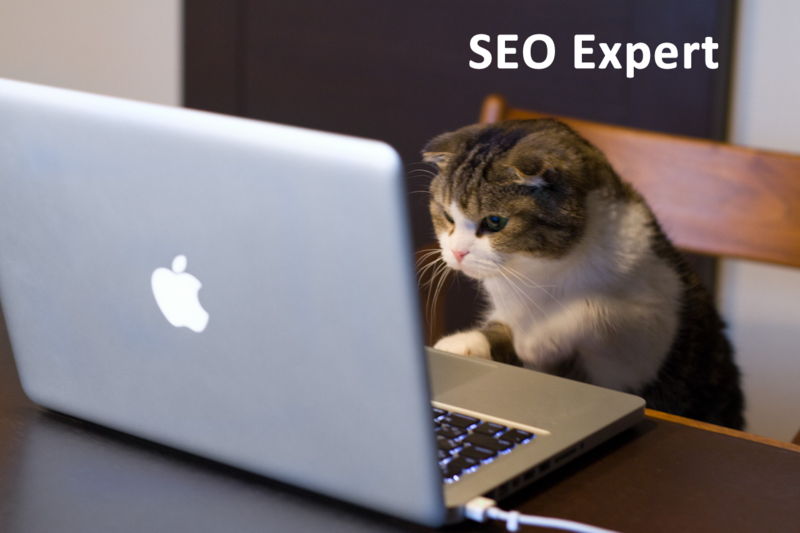 If you pay an SEO expert to list that same content it will still be 90 days before you might get a top rank position. That position, paid SEO services, is now at risk of getting shot down if anything that SEO expert did was not professional, which is highly likely. Analytics were created to analyze why something isn’t working. You don’t need analytics if it works. If you only got 2 new clients after paying $3000 a month of course you want to know why. But if you got 100 new clients a month you really don’t care what the data says, in fact, you don’t have time for it. SEO companies use analytics to motivate you to spend more while putting the blame back on you that it’s not working; your landing pages are not great, your call to actions are poor, your content is not fine-tuned, your digital customer experience needs work, etc… After 1000’s of websites the only rules that are consistent are to make sure your website spells your name right and provide clear contact information. Some of the most successful ones I’ve built vaguely tell the visitor what the company does. At the end of the day it’s about what SEO provides regardless if you paid for it or did it yourself. Search engine results are specific to keywords entered. Top results are reserved for paid advertisers that often apply to a very broad audience, placed alongside content that can be significantly unrelated or, even worst, directly competitive. If you’re lucky your content will show up in position 4 through 6 where 40% of search clicks occur. 50% go to paid positions. If after the 6th position but still on the 1st page of results you have a 1.6% chance of getting a click. Unlike expensive and often risky SEO where search results place your content in line with competitors and below paid ads, low cost social automation results in direct 1:1 engagement opportunities by listening to their social conversations. This results in direct targeted social engagements catered specifically to talking points about your product by lifestyle, interests, and activities. The most qualified lead you can ever find is one that is at that very moment talking about your product/service. This entry was posted in Digital Strategy, Marketing Strategy and tagged SEO, social media. Bookmark the permalink. ← Why is my bounce rate important?